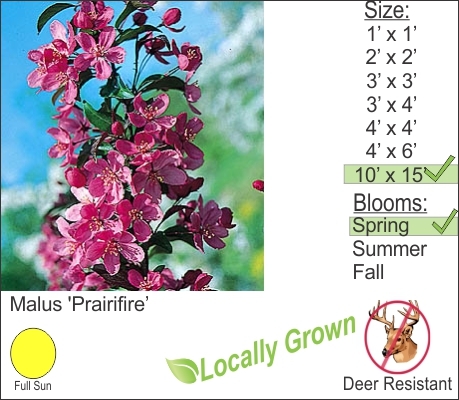 Prairie Fire Crabapple is an excellent choice for its resistance to disease and beautiful fuchsia spring flowers. This small growing tree can be found throughout the Hudson Valley region. Easy to care for Prairie Fire also has showy maroon foliage and blazing red Autumn colors.